Whole body MRI scanner delivers simultaneous image reconstruction and acquisition. The GE Signa HD 1.5T is a full body MRI scanner for use in broad clinical applications. With an automated scanning interface, the GE Signa HD 1.5T facilitates reproducible results among different technicians. 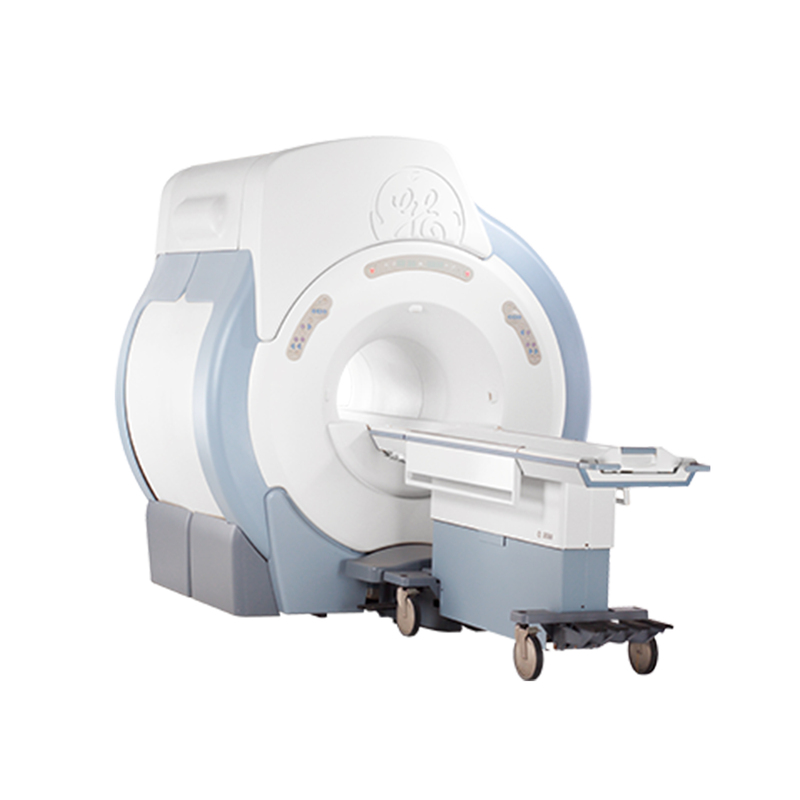 For more information on the GE Signa HD 1.5T MRI System, available refurbished from Avante Health Solutions, contact an Avante representative today. Whole body MRI scanner for broad clinical applications. 1.5T optimized protocols accessible via easy user interface. Designed to produce faster scan times and a lower signal-to-noise ratio. High-definition technology with simultaneous image reconstruction and acquisition. Automated scanning interface helps to create reproducible results among different technicians. Features a simplified user interface that allows clinicians to identify the correct coils for each application. Dockable patient table allows clinicians to quickly move the patient through the room, or out of the room in case of emergency. Table accommodates patients weighing up to 400 pounds. Record motion control and acceleration techniques for re-use with GE’s proprietary software. Maintain communication with patient via intercom speaker, microphone, and volume controls. Acoustic management reduces in-bore noise for patient comfort. PROPELLER technology produces consistent image quality in head studies by compensating for movement in pediatric, elderly, or confused patients. Interactive Vascular Imaging post-processing tool allows clinicians to generate maximum or minimum intensity projections in multiple viewing planes. Pre-programming commands in a wide range of languages with AutoVoice technology. Use a single-screen prescription for most protocols. Quadrature transmit/receive RF head coil. Actively shielded magnet and high-fidelity gradients. Phased array of digital RF electronics.